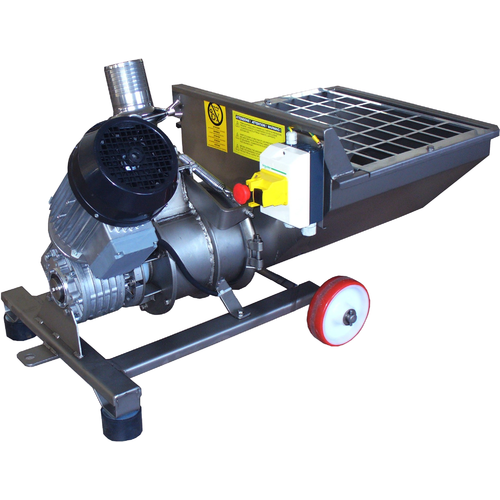 A 3-Phase Crush Pad Specific must pump that transfers crushed grapes from your Destemmer Crusher to your tank or bin. 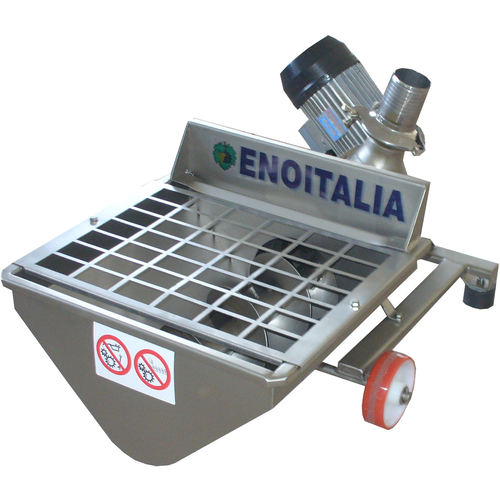 Entire pump is on wheels and will slide under the Jolly 40 or Jolly 60 Destemmer Crusher. Grapes would fall into the awaiting stainless hopper. Stainless screw moves grapes into the eliptical, paddle style must pump that then moves them through 3" tubing to final destination. Considered more gentle than using a rubber impeller must pump. Only available in 3 phase power.